or, random thoughts on hard science fiction. It goes on to say that hard scifi should have accurate science and lots of scientific details. To simplify greatly, in hard scifi the science is an important part of the worldbuilding. the soft scifi story says they boarded a ship and went to another planet, the hard scifi story offers information regarding the type and design of the ship, how it manages to travel faster than light, and what it’s fuel is made of, and all of these details are important to plot development and characterization. I’ve always had a soft spot for hard scifi because I love knowing how things work. Doesn’t matter if the author mentions elements or fuels or technology that doesn’t currently exist (that’s the fiction part), because I’m still getting a plausable scientific foundation for the technologies mentioned. Many books that I’d categorize as hard scifi can easily fall into other categories as well – space opera, military scifi, first contact, etc. 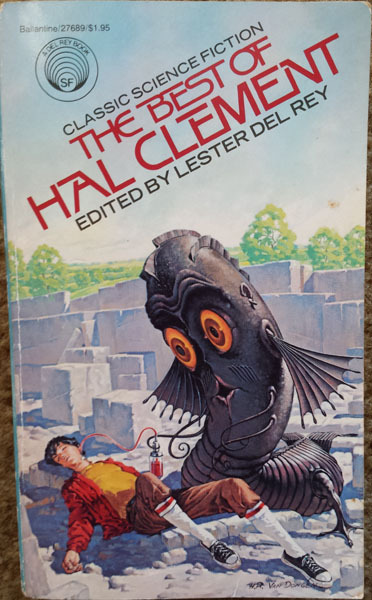 Titles that come to mind when I think hard scifi include Red Mars, by Kim Stanley Robinson, Faith, by John Love, Clockwork Rocket, by Greg Egan, and plenty of Peter Watts, Gregory Benford, Larry Niven and A.E. Van Vogt. It’s the type of stuff where accurate science trumps all, and it’s usually pretty damn awesome. as readers and fans of hard scifi, how hard do we really want it? 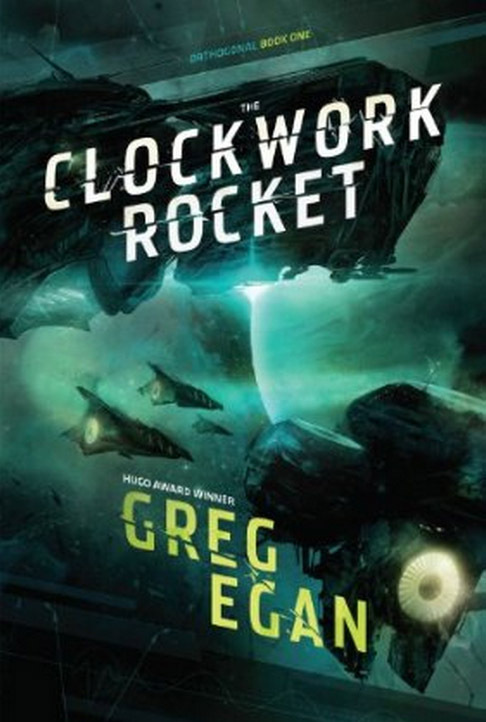 I bring this up because I recently survived Clockwork Rocket by Greg Egan. Egan is a bit of a mystery man, and this was my first taste of his style. Egan dumps his reader on an alien planet (sounds good so far! ), and the story mostly follows a scientist who learns of the danger her planet is it (still sounds great!). The physics work a little different in this solar system (sweet!) so we get all sorts of charts (cool, i guess) and academic discussions (when did I sign up for SCI302 Astrophysics II?) about the physics and how basically time and light and spacetime is completely different here. And then there are more charts, to put everything in 4 dimensions, more academic discussions (when did I sign up for SCI515 Non-real Relativity?? ), and then, well, I started to feel a bit stupid. What happened to the cool aliens and interesting plot? If the heavy science in the book bores me to tears, can I still call myself a fan of hard scifi? I freely admit I’m not the smartest person in the world, I’ve always loved math and science, even if it didn’t love me back. But when a hard scifi book makes me feel like I flunked 10th grade geometry, the hard scifi just got too hard for me. Three cheers to Egan for being wildly innovative and offering a triple threat in Clockwork Rocket – a four dimensional world that has it’s own physics, a fully developed alien race with it’s own cultural norms and unique biology, and to top it off he’s placed his story in a time where our aliens are experiencing an enlightening time, a period full of scientific exploration and inventions, where physicists and chemists are learning the rules of how their universe works, the beginning of their modern age. Egan certainly is ambitious, I’ll give him that. Clockwork Rocket opens with our main character Yalda, as she leaves her rural home and ventures into the big city for an education at the university. Many people feel that it’s a waste to educate women, but Yalda’s father felt all his children should have the opportunity for an education. Egan drops the reader into the story in the deep end, but don’t worry, all will be revealed. As Yalda completes her education, she falls in with a feminist group, a group of women who have either left their mates, or have decided they aren’t interested in mating, and all of whom illegally take birth control chemicals. Birth control is incredibly important, and not for the obvious reasons. These beings have completely different biology than we do, and telling you more would be a major spoiler. As interesting as that is, it’s not even the main plot line. Yalda and her fellow physicists have discovered something very dangerous that’s hurtling through space towards their planet. Something that is moving orthoganally, at an angle to the expected dimensions. Their society is just discovering science, just discovering the laws of physics, how can they possibly come up with the technology needed to save their planet? 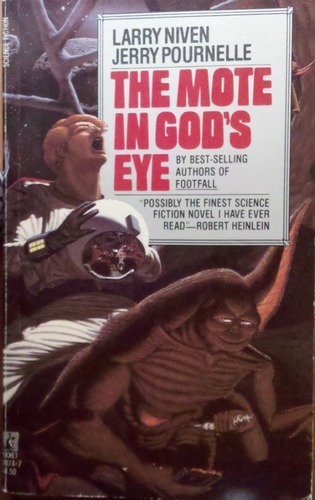 Why I read it: I don’t read much military SF, and this was an opportunity to read something outside of my usual comfort zone. In the late 1800’s, a space-faring race called the Nerrial discovered Earth and made it their mission to secretly help us find a peaceful way into the future. They had already seen what warfare can do to a civilization, and they wanted to save Earth from that fate. Able to pass as humans, Nerrial emissaries raised their children and passed their secrets down. As the years went by, and warfare on Earth evolved from dangerous to brutal to nuclear, the Nerrial philosophy became one of influence, rather than observation. The emissaries worked their way high into the militaries of the Earth superpowers, and stopped educating their children about who and what they were. One day, soon, the time will be right for the Emissaries to reveal their secret. Jump ahead a few more generations, and it’s Earth, during the 2030’s. Embittered America is no longer the superpower she once was, and International peacekeeping missions have their hands full dealing with South American drug cartels, the Russian mafia, and corrupt dictators on a handful of continents. A worldwide anti-civilization, anti-establishment terrorist organization known as The Revolution has started funding criminal organizations and providing high tech weapons to anyone willing to ally with them. NATO knows it’s time to bring in their three teams of the most skilled and most talented soldiers, the strike force known as CONTRA. This is book 2 in Swann’s Apotheosis series. To read my review of the first book in the series, Prophets, click here. The 3rd book in the series, Messiah, is due out early next year. 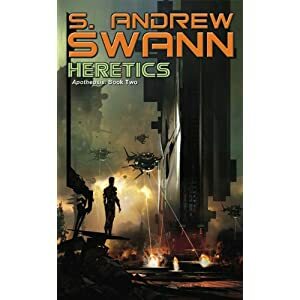 As the second book in S. Andrew Swann’s Apotheosis series, Heretics keeps the action going, along with healthy doses of intrigue, betrayal, destruction, and an unkillable bad guy armed with self replicating nanomachines. As the crew members of the Eclipse try to regroup, all hell is breaking loose around them. Along with Mosasa, Mercenaries Parvi and Wahid, and lowly data analyst Rebecca have been taken hostage on the Caliphate ship The Prophet’s Voice, while the rest of the crew, including Nickolai, Father Mallory, and Kugara have made it to the surface of Salmagundi, where they team up with Flynn/Tetsami and the Protean construct. When Adam confronts Mosasa on The Voice, they both know only one can survive, and facing Adam’s unparalleled strength, how can Mosasa hope to survive? Setting himself up as a God, Adam promises paradise and unrivaled power to those who join him, and instant death to those who don’t.